Gochujang is a savoury, spicy, and pungent fermented Korean condiment made from red chili, glutinous rice, fermented soybeans, and salt. 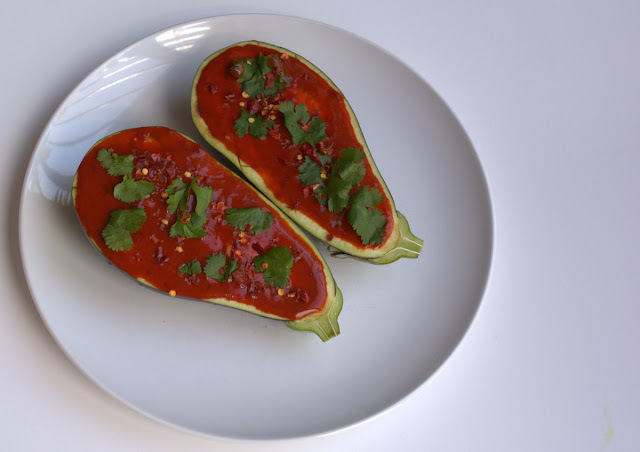 This dish is simple to make and guaranteed to brighten your day! Heat oven to 380F. With a sharp knife, criss-cross the flesh of the aubergine in a diagonal pattern, then place on a baking tray. 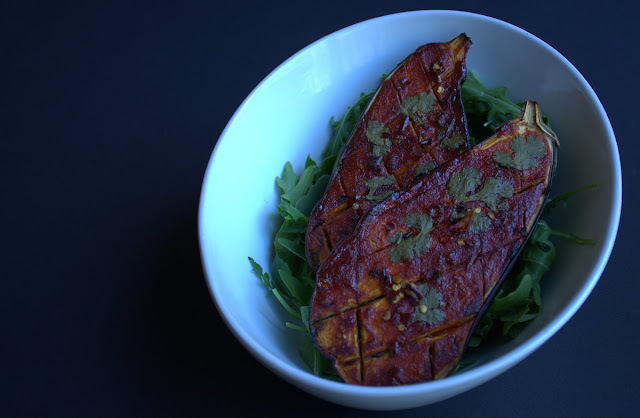 Drizzle the aubergine with a little olive oil and allow it to seep into the cuts. 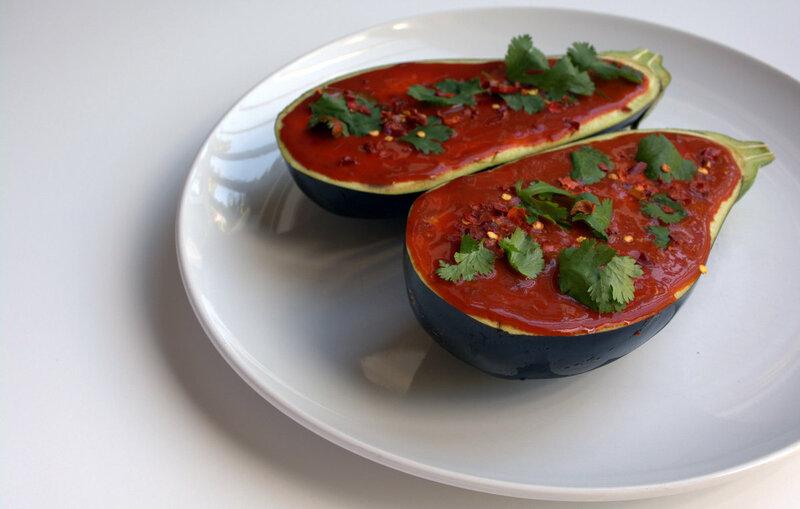 Mix the Gochujang with the lemon juice to make a thick paste. 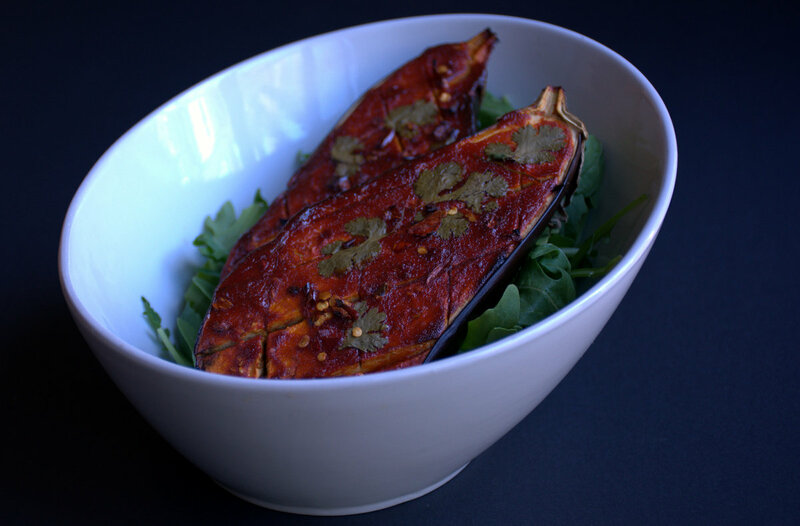 Spread the paste over the aubergine, sprinkle with the coriander leaves (you can also add a sprinkle of dried chilli, as I did for this shoot but it's rather spicy already so tread carefully!) then cover the tray with foil and roast in the centre of the oven for 30 mins. 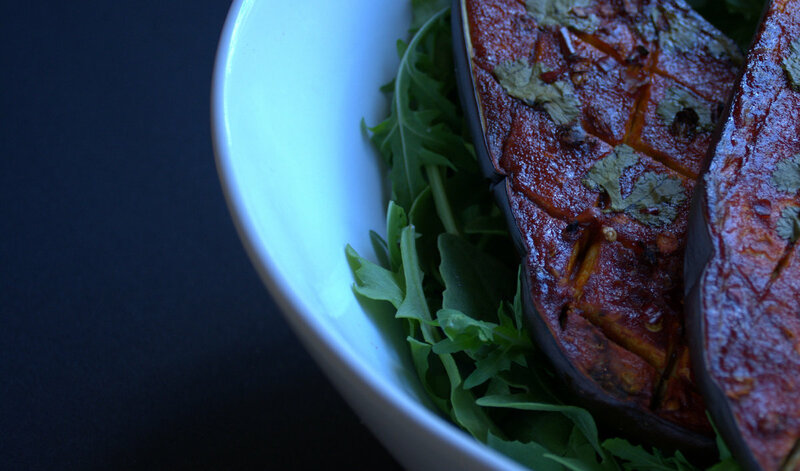 The perfect Autumn salad with enough warmth to make you forget it's just a salad! !